offtomexicowego – AKA: Our Mexican Adventure and More!! For those who have not met us yet, we are Karen and Rich Unger. Originally from Eastern Pennsylvania and later from the West Coast of Florida. This blog chronicles all the excitement, frustration, funny times and exasperating times and everything in between that my hubby, Rich and I (along with two dogs and two cats!!) have had to go through to move 627 miles across the Gulf of Mexico from Fort Myers, Florida to Merida, Yucatan, Mexico. 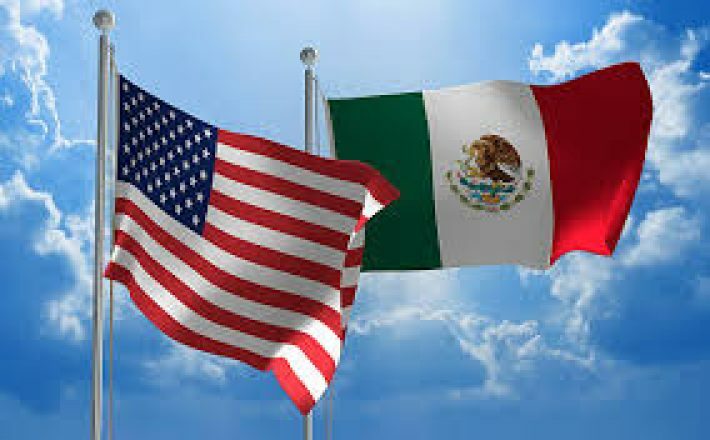 We are writing this for not only our family and friends who cannot understand why we would be moving to Mexico (where all the “bad hombres” are…..LOL), but also for anyone who is considering a move to a foreign country. Your adventure will definitely be different from ours, but at least you can get an idea of what it was like to go through it being just a thought in our heads and what it is like for us now living everyday life in Mexico and maybe even learn from some of our mistakes. Please disregard my many run-on sentences and I hope you enjoy reading our blog. Right now, I have about ten posts written and will try very diligently to add more pages a few times a week, so please bookmark the site and come back often!! Thanks for sharing Our Mexican Adventure….and more!! Contact us at offtomexicowego@gmail.com with any questions or comments!! Hi Karen & Rich. My name is Cherie and I’m seriously considering moving from…ta da! Ft. Myers to the Merida area. I’m not a stranger to living abroad (Australia) and I don’ t underestimate what moving to another non-English speaking country entails. You can see why I’m particularly interested in your adventure. Looking to move down there within 2 years. I’m no youngster so I need to move before I can’t. But I’m very fit. I will be alone. Reading all the blogs and absorbing every bit of info I can. Looking for real people experiences not those professional sites. Anything you can offer will be most genuinely appreciated. Learning Spanish now. I do have a native Mexican friend who will do a recon trip with me to your area. She’s extremely well-acquainted with it. Good luck to you two and looking forward to reading all you have to offer. Thanks so much for reading and responding to our blog. When we originally decided to do the move, I had not even thought of doing a blog, but as we got into it, I knew I would do it for friends and family and anyone else who might be interested. Later I thought there might be others who are considering moving to another country and becoming an expat, who might enjoy hearing of our adventures and here we are!! I am trying to post 2-3 pages per week and am really enjoying doing it. It is funny that you are from Fort Myers!! Small World!! And actually, you are not the only one that I have heard from who is from Fort Myers, I have also heard from a retired couple who will be moving here in a few months. We really enjoyed our time in Fort Myers, but for us to consider staying there, I would have had to keep working full time and my hubby and I really did not have much quality time together, so here we are!! Now we are together all day long and are really enjoying our lives together, so all in all, it was definitely worthwhile for us. Thanks again for your input and I am glad you enjoy the blog. Best wishes for your move and keep in touch, if you decide to move to Merida area, maybe we could meet for lunch!! My name is Leo and my husband and I live in Clearwater, FL. We have been considering moving to Merida (we have visited twice) In the coming year. The big problem is that we have a bird we absolutely can’t part with. He is a Conure parrot. We can’t fly the bird down and we can’t make the trip by car. It would just be too much for my husband to take. How did you get your animals down there? Please read on in the blog about United Airlines. That was how we got our pets here to Merida, but it really was an ordeal. I know there are some companies who you can hire to ship pets. I just googled “companies that relocate pets” and this one says that it does relocate parrots, so you might want to check in with them. I definitely would not recommend United. I’m anxious to follow your blog. I visited Merida and enjoy it. My husband is a Mexican and we will eventually be moving down there to stay. At the present we can only visit from time to time but I’m always interested to hear how other people engineered the move and what’s going on with them. Thanks so much for your input Debra!! I am really enjoying doing the blog and will try to do 2-3 pages per week. My hubby and I are really growing to love it here more and more every day and I am hoping that I can show that in my posts. Great blog! Will there be more and how is yoyr new home? Hi Lynda…Thanks so much, I really do enjoy writing the blog. Actually, the next few blog posts will be all about our new home with lots of photos!! I recently posted 3 new pages and will be trying to do 2-3 per week, so keep watching!! Coming to Merida in February for a look see. Will need accommodation for two female friends. Any suggestions most welcome. Right after I got your email, I posted my page about Hotel Doralba. You can check out the page, I have lots of photos there and I cannot remember exactly how much it cost, but I do remember that it was very reasonable and it is right in the middle of everything (Centro). Thanks for the info I read all your posts Looking forward to updates. Thanks so much, Mark. I am trying to put out 2-3 pages of the blog every week. Enjoy!! We plan on moving to Mexico within a year. I would love all the experiences you had to go through. Thanks so much, Donna. As we got deeper and deeper into the moving process, I just knew that I had to write about it and hoped that I could help others who are considering becoming expats. Thanks so much Daniel!! We really appreciate you reading our blog. We are so very happy here!! I’m glad you found it!! Thanks!! Seriously considering moving to Merida early next year. From Clearwater, FL. Just wondering how you are dealing with the mosquito problem. Hi Leo……When we first got here, we used insect repellent religiously and I was getting bit ALL the time! I planted a few citronella plants in the backyard and that really seemed to help in the yard. Now we don’t use the repellent and I might get a bit once a week, if that. I really don’t think they are any worse here than the ones in Florida. Thanks for your question!